For everyone who spent the day marching, or arguing on the internet about the tenor of MLK’s message. For everyone grinding or who had to work on one of the days when the markets are closed. This is a track I must’ve missed last year, because it’s straight fire. 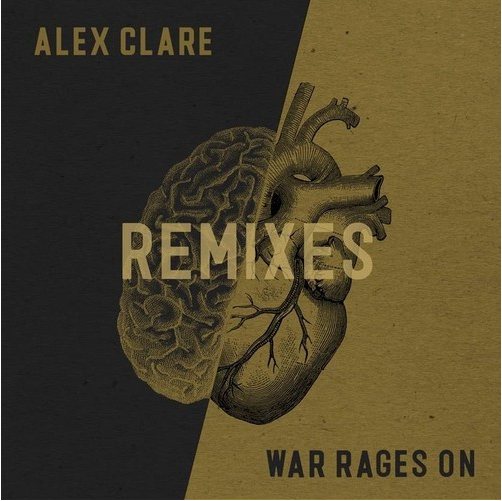 Alex Clare provides some of the best vocal work he’s done since Not Giving In For Rudimental. The liquid feels are impressive with this one, and this smooths along for the entirety of the track, without letting up. This is some of the smoothest d&b out there, so of course it’s from the young master himself Etherwood. Let this tune soothe your tired body peaceful warriors. Even if the only thing you fight for is a better tomorrow for yourself. Med School Music, sister label to Hospital Records, has tossed into the ring what I believe is the future of event marketing. Ahead of a May 23rd show they pushed out a 30min mix with the artists performing at the show picking their favorite D&B tracks and pushing it out as a free DL. The 30min is classic Med School, with tracks by Keeno & Unquote, Minotaur & others that you will definitely get down to. With so many mixers on this, it’s hard to pick a high point. So put it into your face. Also, party promoters, GET YOUR DJS TO DO THIS. This is the best way to hype a party I’ve ever seen. I’ll just be crying quietly that I didn’t live in the UK and missed another party with music like this, don’t mind me.